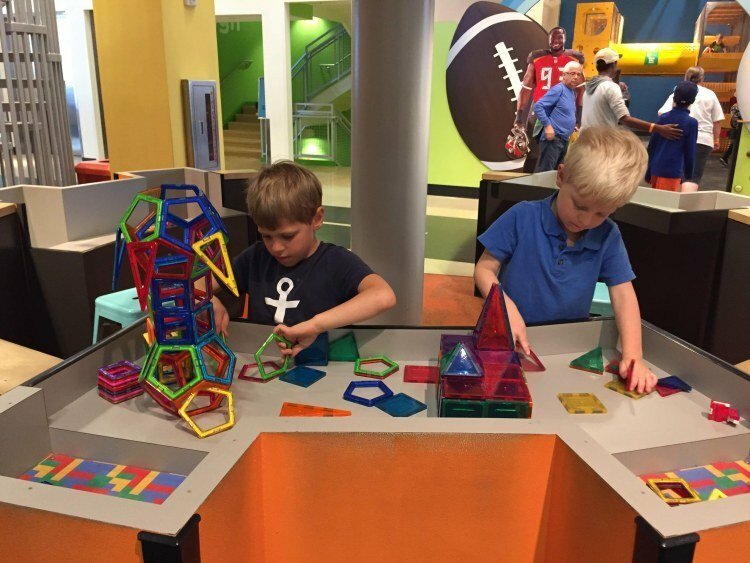 The Glazer Children’s Museum is located downtown on the river. We used the neighboring parking garage for our car. 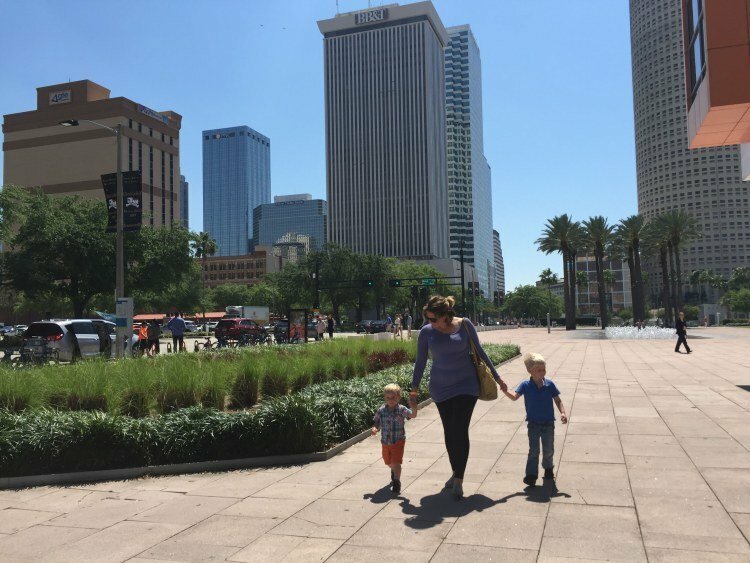 It is also good to note that there is a nice playground and grassy area just a few blocks away down the riverwalk. 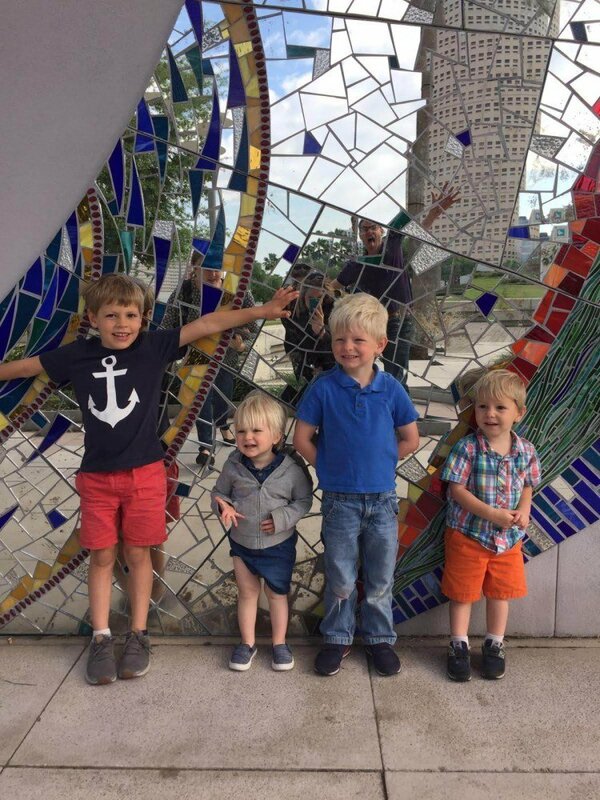 The Glazer Children’s Museum building is well marked and features an inviting mirror mural leading you into the front door. 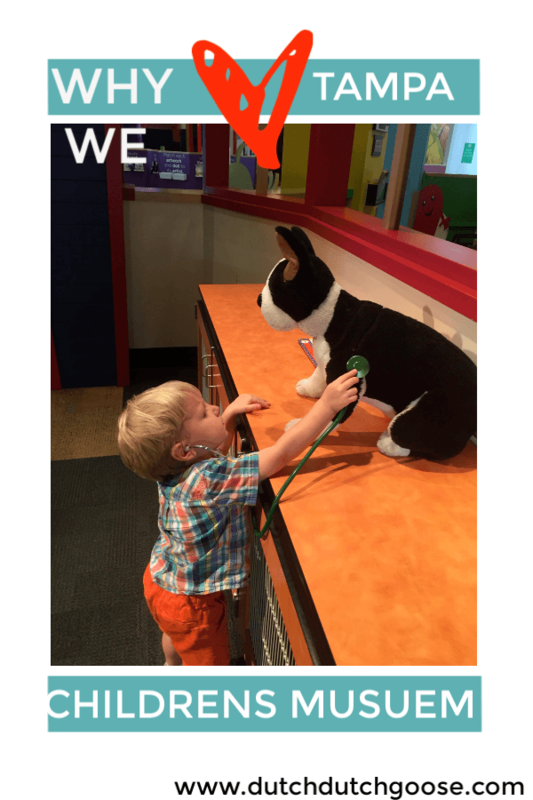 The four kids were pumped to get playing…and learning! One of the main draws for visiting was the Mo Willems traveling exhibition. As one of our favorite children’s book authors the kids were excited to get to play in some of his worlds. 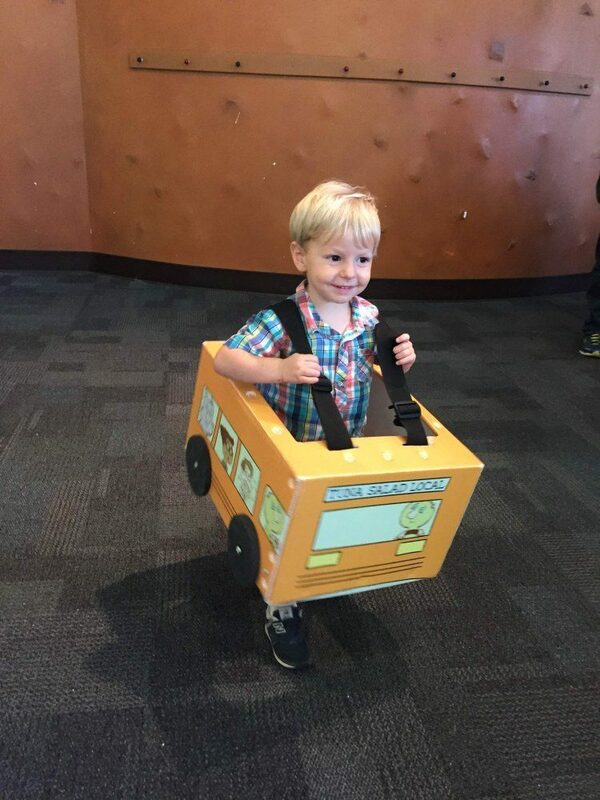 They dressed up like the busses from the Pigeon books. 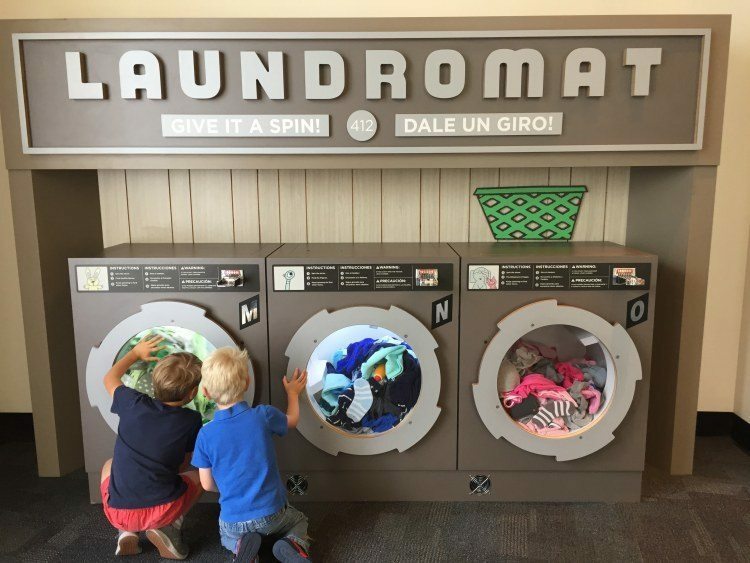 They played eye spy in the Knuffle BunnyLaundromat. Helped the Naked Mole Rats get dressed and have their own fashion show. 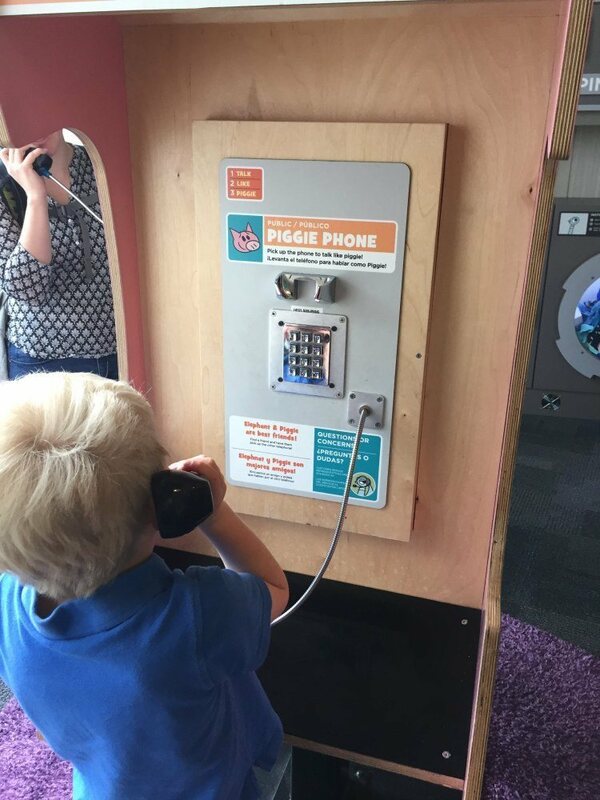 They even made a few phone calls as Elephant and Piggie. There were several areas that showed how animation works. The boys were most interested in the flip cards. 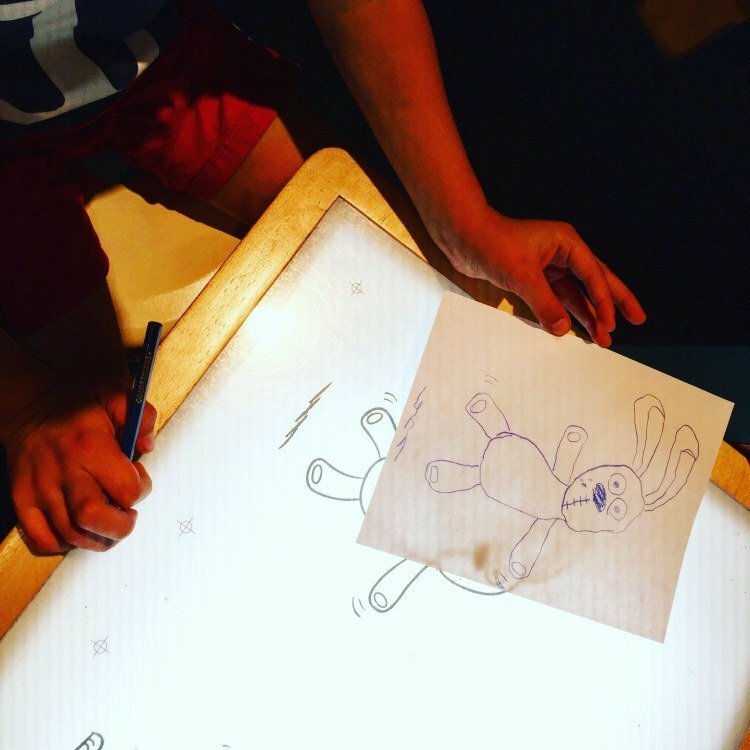 They could see how each picture was drawn just slightly different and then flip it fast to see it move. 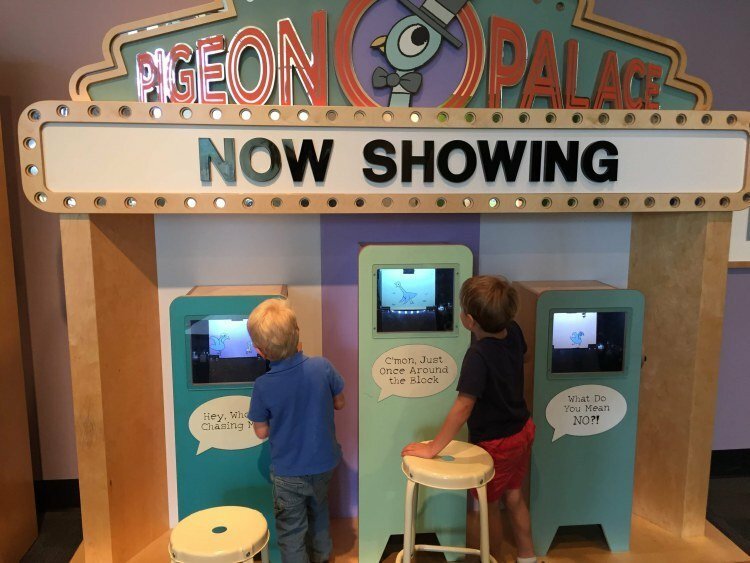 The Mo Willems exhibition is scheduled to be at the museum through May 12. 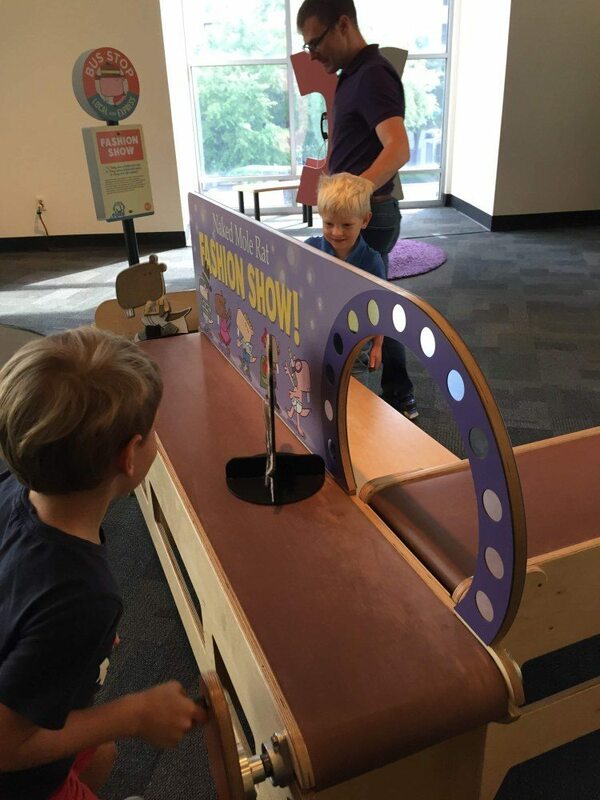 The rest of the museum is packed full of fun. 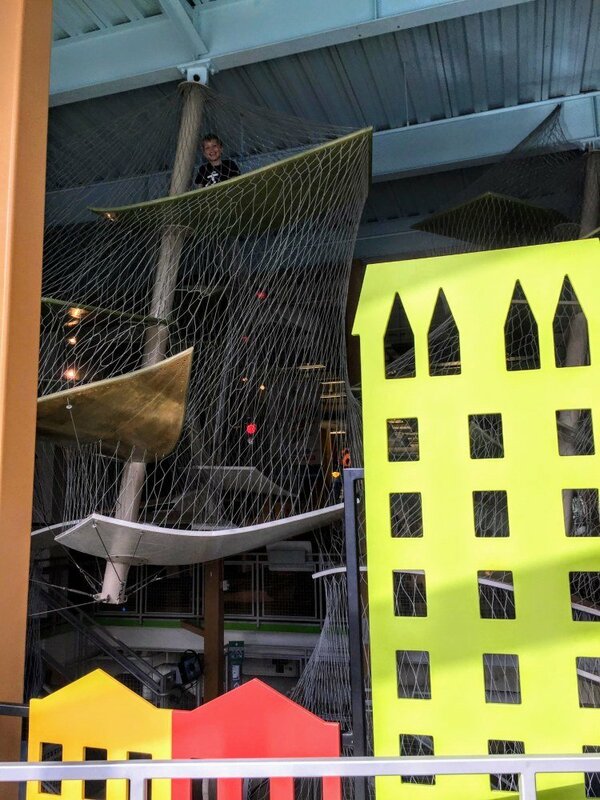 The climbing structure is one we’ve seen a few places, but this one starts on the second floor and allows you to climb down and spy on the first floor water table from above. 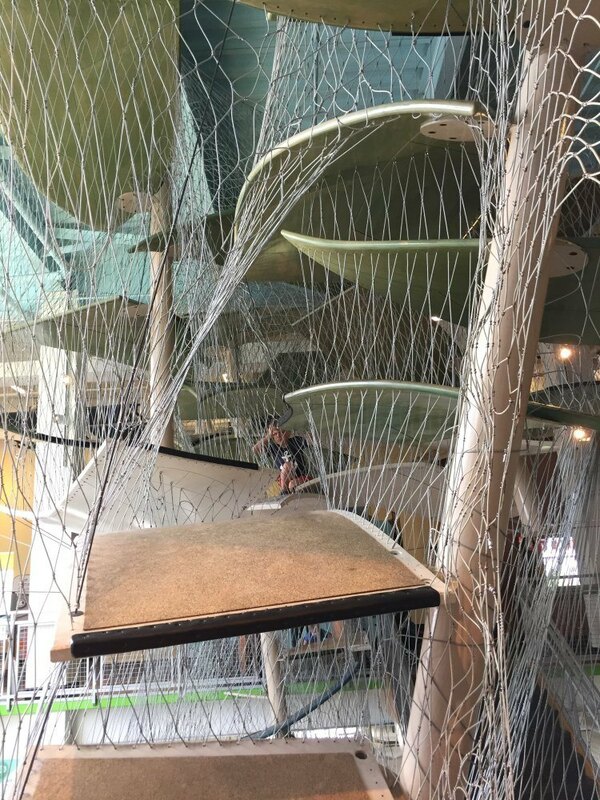 These types of climbing structures are always a big hit with all three of my boys. The Big Little always rushes to try to get as high as he can, while my other two just like to try to use them as a bridge. 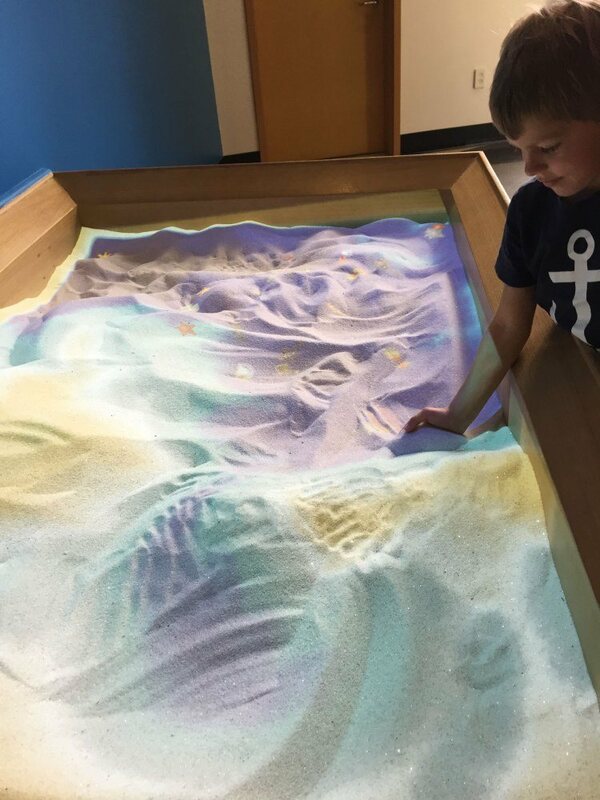 The sand table uses projection to help mark different depths as you dig. This one focused on water. The deeper you dig the deeper the water gets. It included different types of sea creatures at each level. Crabs climbing over the sand, sea stars in the light blue water and fish and octopus in the deeper blue. A science area featured a variety of stations. The Magnatiles are always a big hit with my littles. It was fun to get to play with a variety of different types of magnetic blocks and see what they can build. 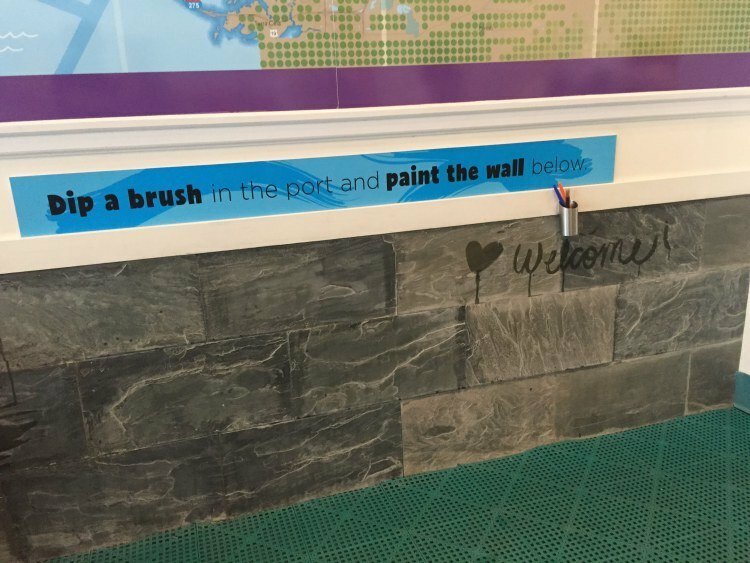 A little town area has all the stations we’ve come to expect and love at children’s museums. Here though we found that there was not enough of each object out. 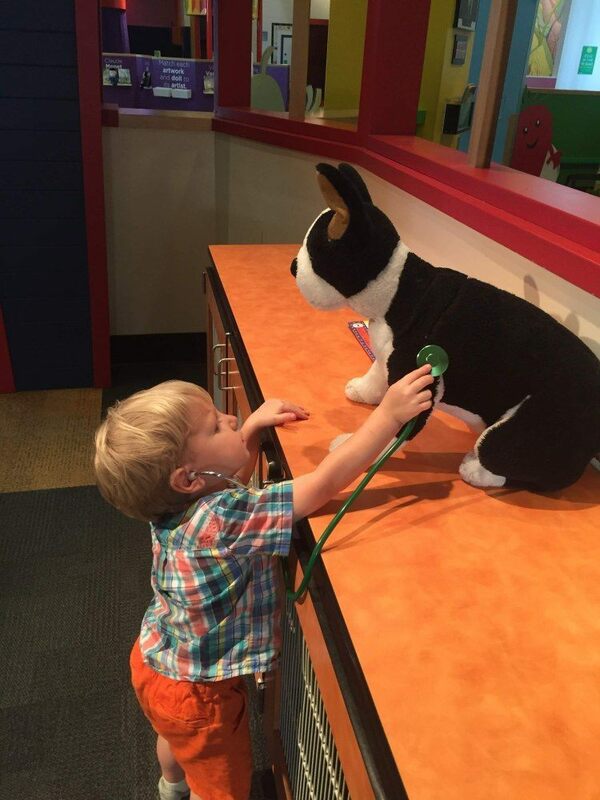 They need some more pets, stethoscopes and other accoutrement. (The museum was busy so it’s possible they have more that have walked away.) The grocery store, fire station, music area and pizza making station were all a big hit with the kids. The first floor features a large water table. There are boats to play with in the water. There is also a ball run that goes over the water. (Again, there were not enough balls!) Watch where you are standing as the far side of the water table has weather and you may get rained on. They also have a slate wall painting area, which my littles weirdly love. We nearly missed the third floor which was all about art. 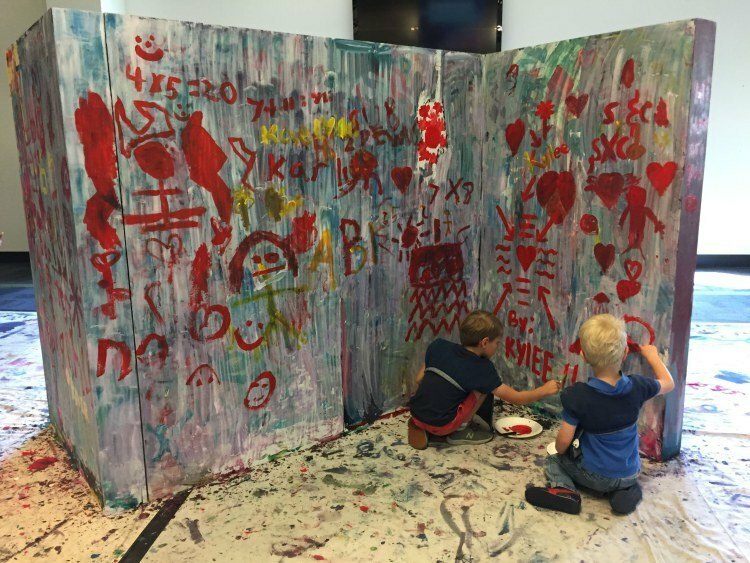 They had a few get messy stations where the boys got to play with paint and paint pens. They also have a pay-to-play craft. The day we were there they were screen printing things. The kids were not really interested. They wanted to paint on the large wall some more, so I didn’t investigate further. We left the museum before the kids melted down. I’m pretty sure they would have stayed and played longer had we let them. Two blocks from the hotel is a whole bunch of quick service restaurants. We opted for So Fresh, a quick place with smoothes and veggie bowls. 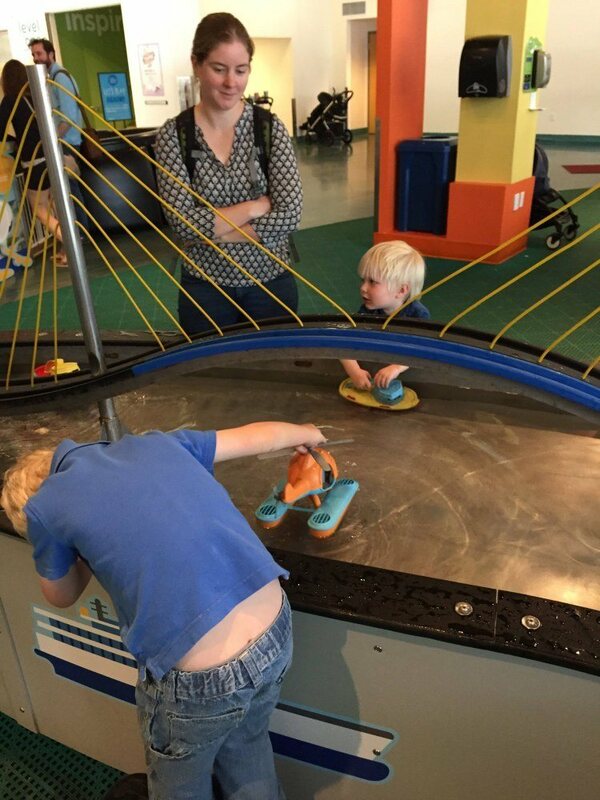 The perfect way to end our morning at the children’s museum. This post contains affiliate links. 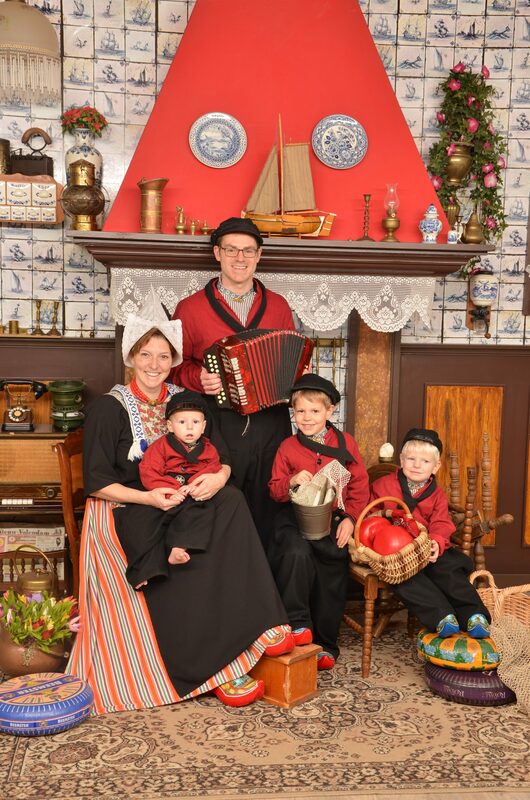 If you purchase through one of these links, Dutch, Dutch, Goose! receives a small payment at no cost to you. As always all opinions are my own.